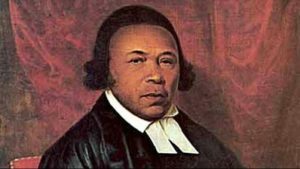 The Union of Black Episcopalians of Central PA, the Bishop Nathan Baxter Chapter, invites middle school students to participate in the 2019 Absalom Jones Essay Contest: Triumph and Tragedy Through a Life of Service. This contest engages youth in researching the life of Absalom Jones who lived from 1746 – 1818 during the time that our country was still gaining its freedom from England! As youth read they will learn about Absalom’s transition from a slave, brought to Philadelphia as a teenager, to the charismatic community leader and respected clergyman he is known for today. They will discover why Absalom Jones left the Methodist Church and moved to the Episcopal Church where he is recognized as the first African American priest in the Episcopal Church and the founder of Historic St. Thomas African Episcopal Church in Philadelphia, Pennsylvania. This contest is designed for middle school students to use the example of Absalom Jones’s life to discover ways to handle triumphs and tragedies in their own lives. The attached form has all the necessary details. We hope you will encourage your middle school students to participate and look forward to receiving their responses by February 8, 2019. In addition to awards for the top three winners, students are invited to read their essays during the UBE’s Absalom Jones Day celebration on Saturday, February 16, 2019, at St. Stephen’s Episcopal Cathedral, 221 N. Front Street, Harrisburg, PA 17101. Please contact Karen Love at klove7511@gmail.com if you have any questions about the Absalom Jones Essay Contest or about the UBE’s Absalom Jones Day Celebration. Thank you! Friday, February 8, 2019 – Deadline to submit 2019 Absalom Jones Essay Contest Entries. To download the Essay Contest form, click here. Saturday, February 16, 2019 – Absalom Jones Day Service & Celebration (RSVP Feb. 10). To download the flyer for Churches, click here. To download the Community flyer, click here. Family and friends are welcome! The Rt. Rev. Audrey Scanlan, Bishop, and The Rt. Rev. Nathan Baxter, Retired Bishop, will officiate during the 10:00 AM service. The awards ceremony will follow the service. Refreshments will be served. 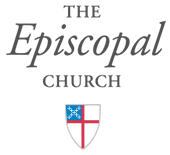 About the Union of Black Episcopalians Organized in 1968 as the Union of Black Clergy and Laity, the Union is the proud inheritor of the work of many people. UBE also grew out of the work and spirit of earlier organizations. The Convocation of Colored Clergy and the Conference of Church Workers among Colored People were dedicated to justice and the ministry of Blacks in the Episcopal Church. The Bishop Nathan Baxter Chapter of UBE was established in 2014 with the Rev. Brenda M. Taylor as the first president. The chapter is dedicated to serve as an instrument to eradicate racism and social injustice and to help the Episcopal Church become one body for all. For questions, please contact the Rev. Brenda Taylor, Deacon, bmtaylor@att.net To view the Union of Black Episcopalians website, click here.